10 Tips to de-junk and de-clutter your home! 10 Tips to de-junk & de-clutter your home! My husband I were recently offered to move our family of 6 to our dream location! The place we’ve always wanted to be! Unfortunately the dream location has a small home with one bedroom and one bathroom. We knew we would have to get rid of several things because we currently live in a 3,000 square foot home with 4 bedrooms, 2 bathrooms, a sewing room, a movie room, a man cave, a nice storage room, huge living room, great dining room and a screened in sun porch. As we started showing our big house I realized it was full to the brim! Every closet, every corner, every cupboard and every shelf was packed….why…because we live in a world of “STUFF”! After the first house showing I sat down in the rocking chair and realized how much “stuff” we had accumulated over our 10 years of marriage! Stuff had taken over my life! It added time to my cleaning routine, we weren’t attached to most of it, it honestly was just STUFF! We immediately began de-stuffing. Ranging from coloring books, to crayons/colored pencils, the toys, everyone’s clothes, the game closet, the fabric stash, school projects/papers, and more! 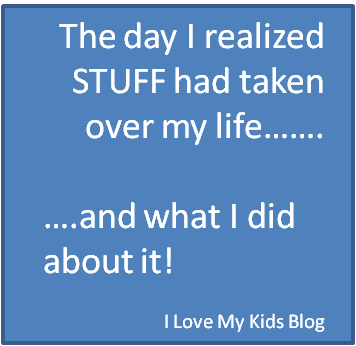 I thought for sure it would be a battle with my children, that there would be tears, but surprisingly, it felt GOOD to de-junk and de-clutter for all of us! Within 2 weeks time we had donated 14 white garbage bags of “STUFF”, sold hundreds of dollars of good “stuff” and as we continued to show the house we realized that our table was just a table, our fancy sleigh bedroom set that was once viewed as a need really was just “stuff”. I also found that I spent a whole lot less time cleaning up as there was less stuff to pick up. 🙂 I thought I would share these tips with you so you can feel just as good as we did when we started de-junking! 1) Focus on one area at a time-so you won’t get overwhelmed! Usually I am a big picture kind of gal, but in this situation, just focus on one area at a time! If you think of all the things you have to do you may never get started! Do one area at a time and when it isn’t a stressful time. Doing this while you are trying to feed kiddos dinner or put them to bed is not a good plan. You may decided to give up too soon! 2) Do one small section each day. If you can find 20 minutes each day to dedicate to going through 1 cabinet or 1 closet before you know it, your home will be in a fantastic de-junked state! 3) How many do you really need? When you come across multiples of things like coloring books for example decide how many you really need. We sorted through each coloring book and each child made a pile of the ones they wanted. Of their pile they got to choose 4 to keep with a promise that when all the pictures were colored we could buy a brand new one! They were surprisingly not sad about this new plan because we realized that the majority of them had been mostly colored through and the thought of a new coloring book was exciting! 4) What to do with all those school papers/projects? Please tell me you all have a “I can’t get rid of this special art project or paper I made at school” drawer. Does it look as bad as ours? Yikes! We can hardly close the drawer! What to do with all of these projects? We’ve recently started taking pictures of all of the art projects and are making a digital book that we can print out at the end of the school year filled with all of their special papers….GOODBYE messy school project drawer! When we were first married we were given a mini food processor for our wedding. As our family grew I inherited an awesome 20 year old giant sized food processor. I kept both because I had the room to store it. For my birthday I got a Bosch that could do the same thing that the food processor could do. I had duplicates of many things as I’ve upgraded or found a killer deal at yard sales and 2nd hand stores as well. I had a multi-purpose Oster with several attachments but I only used it for it’s blender attachment. The attachments took up an entire cupboard! It was time to reduce to just a blender and give this one to someone else that would love to use all it’s attachments! 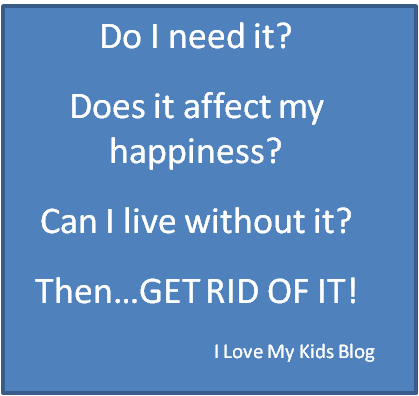 If you have duplicates of things-get rid of it! I cleared out 3 cabinets of space that used to hold duplicate appliances! 6) Are you keeping it because it is sentimental? This is a hard area. As we were going through stuffed animals my kids were ready to get rid of some stuffed animals that they were given as babies. It was hard for me to see them get rid of them and keep the less special ones just because I had an attachment to them. I soon realized that they were just stuff too. We snapped a few pictures of the super special ones to go in our “special book” that we will print at the end of the school year. We were able to donate them to the local hospital to hand out to children that were in the ER. 7) When was the last time you used it? I love to play board games with my kids! My kids love to play games with each other. As a result we have an entire closet dedicated to board games, but we only play a handful of them. The rest we haven’t used in over a year. Set a time frame (for example 6 months) if you haven’t used that item in 6 months, likely you could probably donate or sell it and not miss it much! To keep track of the clothes you wear, hang all of your clothes with the hanger facing the wrong direction. As you wear, wash, and replace them, hang the hangers the correct way. 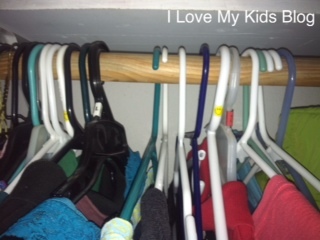 After 6 months or a year take out the clothes that are still on the wrong faced hangers and donate them since it has been so long since you’ve worn them! 8) Make a place for everything-do you have room for it? 9) What condition is it in? If something is on it’s last leg maybe now would be a good time to offer it for free to someone who could use it for it’s remaining use-able time. You can try living without that item for a a while and if you do really miss it, it was about time to re-purchase that item anyway. We found so many items that at the time we bought them, it was just what we needed, but now the need had passed. 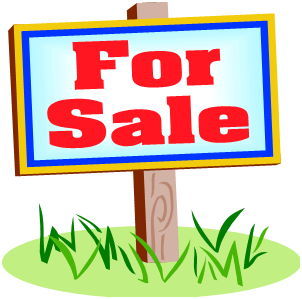 If it was in good shape and not a need for us we posted them for sale on our local facebook classified page. We needed that spare bed when we had our large home, but won’t have space at our new home-so we sold it! We needed that floor jack with our old vehicle but our newer vehicle came with one made specifically for that model-so we sold it! I needed those winter boots that were a size too big when I pregnant but I don’t anymore-so I sold them! Items that we no longer needed were needed by other people! Now we have some fun money to go buy some new things that we will need for our new house! I can’t even express to you how wonderful it has felt to de-junk and de-clutter our home! It feels surprisingly good especially if there is someone else who could really use it! If you aren’t quite ready to “let go” of these items, bag them up and put them out of sight for 6 months. If you haven’t missed them take the bags to your local 2nd hand store. If you realize you do need something in one of those bags, it is still there. 🙂 I did this with my kids’ toys a couple of years ago and the only thing they realized was missing was the toy barn that mooed when the doors opened. I slipped it back in the toy room one night after they had asked where it was. Have you ever done a major de-junk to your home? I want to hear about it, tell me in the comments below! « Holiday Shopping at Kohl’s + $100 Giveaway! I so need to use some of these ideas!! Trying to declutter is a chore in and of itself! Thank you! Thank you for the great tips. I really need to dejunk as well. Hopefully, I will add that too my spring cleaning list. These ideas for de-cluttering “Stuff” is excellent. Thanks for the great tips. Another benefit to de-cluttering for me, is that whenever I am feeling depressed, cleaning/organizing/decluttering something helps me get more positive. You have some fantastic ideas and I’m saving this page for the spring when hubby and I really want to declutter our house…in a serious manner! This is such a timely post! It makes realize how much we don’t need. It motivates me as well to do something about it! I LOVE this post! 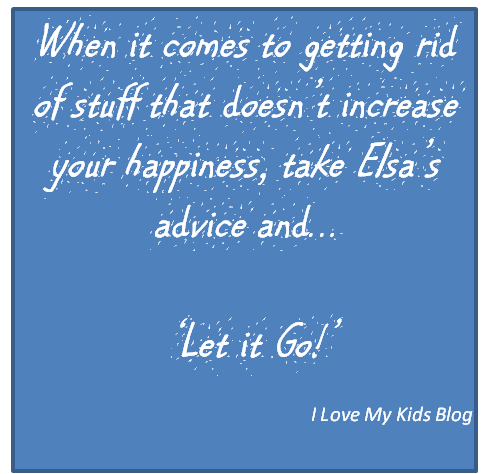 I am currently decluttering our house and have the most trouble with emotional attachments to things! My husband really needs to read these ideas! He’s the clutter-master! My biggest issue out of all of these options is gettng rid of things that are sentimental. I can sell just about anything I dont use, but things that are close to my heart or a fond memory are never leaving my cluttery house. Thanks for the info. I am going to declutter this Spring by having a yard sale and getting rid of all the extra stuff I do not need in the house. I know what you mean about all the clutter! These are some fantastic ideas! And just in time to put some of these tips into action before my home fills with guests for the holidays! Thank you for sharing! 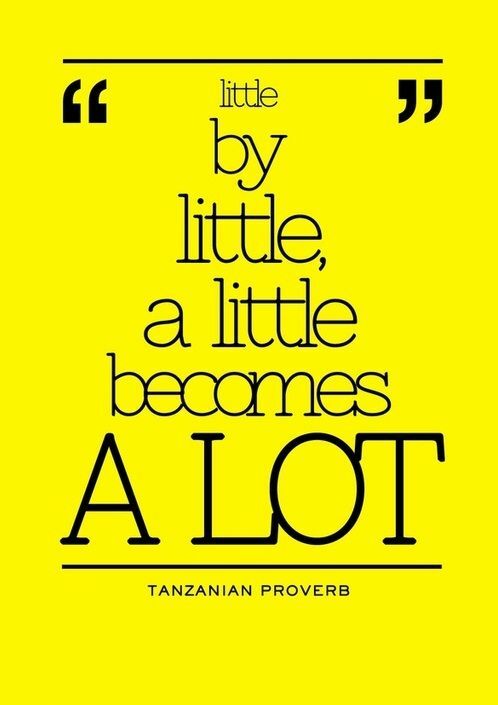 I need to take this to heart, we recently had a move from CT to AL and it took me months of sorting to feel like I had a handle on the massive amounts of stuff we collected! I really appreciate you writing and posting this because I have recently decided to try and organize and get rid of some stuff in my house. It’s just too much!! I am going to try and utilize some of these tips to help make my house better! I am overwhelmed in one area. I have to do it and now that I am feeling better, maybe I can get it done. I haven’t done a major decluttering, but I need to. Thanks for the tips. I have a huge problem with keeping my kids school papers and love your digital book idea. Thank you for the great tips! 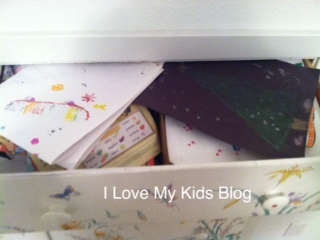 I meant keeping my kids school papers organized! Thanks for the tips! These are great ideas. I very much need to de-clutter my home. It seems stuff just gets piled up and shoved in a closet. this is a constant battle for me, i am a shop-o-holic, work full time with 2 kids. I never get rid of Stuff, and keep buying more Stuff I cant pass up a good deal . !, getting started is the problem! I wish I was more organized, and had a housekeeper! lol. But seeing this really gets me motivated! thanks! Oh great ideas!!! I really really really need to declutter!!!! We still have all of Carters clothes, toys, baby stuff and he is now 4! Great tips…will try the #7 soon. I love love love the idea of taking pictures of school art prettys and putting them in a book!!!! I have a 4 and 7 year old and am already overwhelmed with projects. Great tips! I really need to de-clutter my house and these will definitely help me do that. I declutter by giving to Goodwill, Wings, or the Salvation Army. What one person sees as clutter can be useful to someone in need. Instead of having a house full of stuff you can have a fuller feeling in your heart from the “act of giving” or donating. Recycling isn’t always a bad thing. Thanks for the great tips! I will be using these as soon as the holidays are over to declutter. We have been going through ur house little by little. My husband is a packraat and it is tough to make him let go and I have to admit I am too. I think it comes from humble vbeginnings, and we have to let some go. I wish I had motivation to sell some stuff. lol I usually just give it all away. Thank you for the tips, I have too much stuff that needs to be thrown out or reorganized. These are really good tips. I really need to de-clutter my place. I have been living in the same place for at least 15 years. I know I have tons of stuff that hasn’t been used in years. Wow – that was quite a housing downsize! Thanks for sharing these wonderful tips – I’ve been making it a point to de-clutter every few months. It’s very freeing when you can simplify your lifestyle by getting rid of things that are just taking up space. I’m to the point in my life now (49 yrs old, turning the big 5-0 in May) where I start asking myself “Do I need it? Does it increase my happiness? Can I live without it?” BEFORE I buy them. Great tips! I have a TON of stuff (my daughters art) that I seem to feel the need to save. I love the picture idea!! Id am going to share this with my husband. We are procrastinators and enjoy spending time together with our kids on his days off. Crazy schedules, school, work, sports always get in the way. 2015 is the year to get organized. My niece and nephew’s school actually digitizes the art for them and posts it on Artsonia.com. Not only does it prevent the art saving drawer, it lets me (and the grandmas) see their artwork even when we don’t get to see the kids. I like the suggestion of doing one small section each day. It’s easy to get overwhelmed if you have a big job ahead of you so focusing on one small section a day is a manageable and attainable goal.